Despite arguably still being a market that supports growth, the gaming notebook arena has remained relatively staid over the past few years. At the highest end we're still looking at just Alienware and Clevo, with MSI, ASUS, and the odd Toshiba picking up the slack. Risking using a buzzword that makes most journalists froth over with rage and irritation, this is a market that's fairly ripe for innovation but hasn't seen a tremendous amount of it. Razer's entry into the gaming notebook arena wasn't a total game changer, but it was definitely an eyebrow raiser. 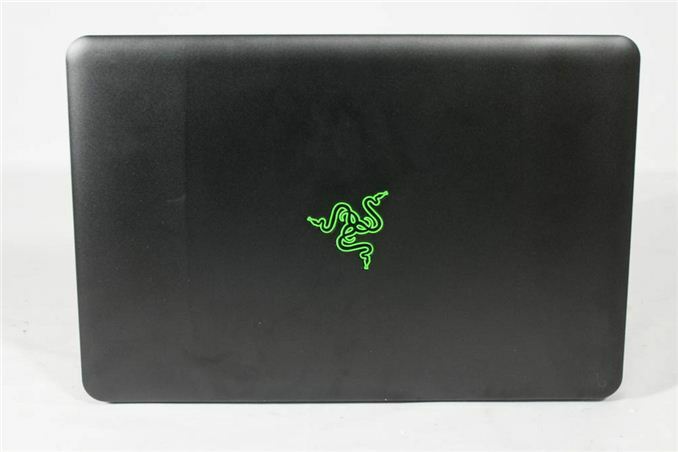 The original Razer Blade was an ultrathin gaming notebook, featuring an industrial design rivaled only by its profound inability to handle the tremendous heat generated by its components and its nearly impossibly high price tag. The second version did a lot to ameliorate those complaints, but I suspect it's really going to take the combination of Haswell and Kepler to get this concept where it wants to be (price notwithstanding). 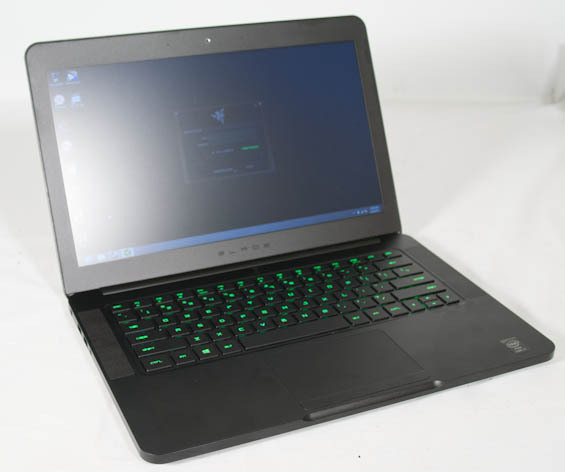 Thankfully that's what Razer is offering in their third generation of gaming notebooks. Splitting the line into two models, the newest revision of the 17.3" Razer Blade gets dubbed the Razer Blade Pro, with the non-Pro nomenclature falling to the brand new 14" model. At the risk of being premature, I suspect the 14" Razer Blade is going to be the more desirable of the two notebooks: hardware specs are virtually identical between the Blade and Blade Pro, with the primary differentiators being the 1080p display and Switchblade panel in the Pro. Cutting down the Pro to a slightly more conventional 14" gaming notebook has left Razer with an attractive machine that's hard not to compare to Apple's MacBook Pro. Dimensions 13.6" x 9.3" x 0.66"
It's hard to feel like any compromises have really been made in terms of the Razer Blade 14-inch's internal hardware. The Intel Core i7-4702HQ CPU boasts a healthy 2.2GHz nominal clock speed across four cores and is able to turbo up to as high as 2.9GHz on all four or 3.2GHz on a single core. This is the situation that Haswell is ideal for: a thin portable chassis with somewhat limited cooling capacity. Despite being essentially a refresh of extant silicon, NVIDIA has actually made some fairly impressive strides with the second generation of Kepler mobile GPUs. The GK106 chip has turned out to be a solid desktop offering, but like Haswell, its true destiny may very well be in mobile. That chip powers the Razer Blade's GeForce GTX 765M, the same mobile GPU you're going to find in Alienware's competing 14-inch notebook. It's a slightly cut down GK106 chip, sporting 768 CUDA cores at a nominal 797MHz clock speed, and it comes with NVIDIA's Boost 2.0 enabled. That should allow it to hit speeds as high as 900MHz during gaming, thermals depending. 2GB of 4GHz GDDR5 is attached to a 128-bit memory bus. Meanwhile, storage is handled by Samsung's 840 series SSD, shrunk down to an mSATA form factor. This is the only differentiator between the three models of Razer Blade 14-inch: $1,799 will get you 128GB of storage, $1,999 will get you 256GB, and $2,299 will get you 512GB. While your gaming needs may vary, I've found that 256GB is pretty much the minimum for all my stuff plus the games I need on the go. Individuals looking to use the Blade as their primary system (and it's totally feasible) may actually want to make the jump to the 512GB. Where Razer does come up short with the 14-inch Blade is connectivity. Three USB 3.0 ports and an HDMI port should theoretically be enough to cover the most basic needs, and I'm even willing to forgive the lack of a card reader on a notebook that's geared exclusively towards gaming. Lacking wired gigabit ethernet is a more bitter pill to swallow, though. The Killer Wireless-n ameliorates this somewhat, but it doesn't replace it. For serious online play there's just no substitute for a stable wired connection. That's right. And a few months ago, the Lenovo Y580 had a faster GTX660M and was available for as low as $799 from Newegg. A gaming notebook that can run BF3/Skyrim on high... for $799. It was never mentioned on Anandtech to my knowledge, and instead they had about 63 articles about the Razer 17" notebook for about 3x the price ($2499 or something like that), comparatively speaking, a luxury item. Most of the stuff Anandtech looks at is sent to them by mail, likely from the manufacturer themselves. Sorry to say it but that basically makes them a mouthpiece for others' corporate marketing budgets.